Most people think of Florida as the sunshine state. A place filled with fruit trees, beaches and warm weather. I’m no world traveler, but the coldest I’ve ever been was in the glades. 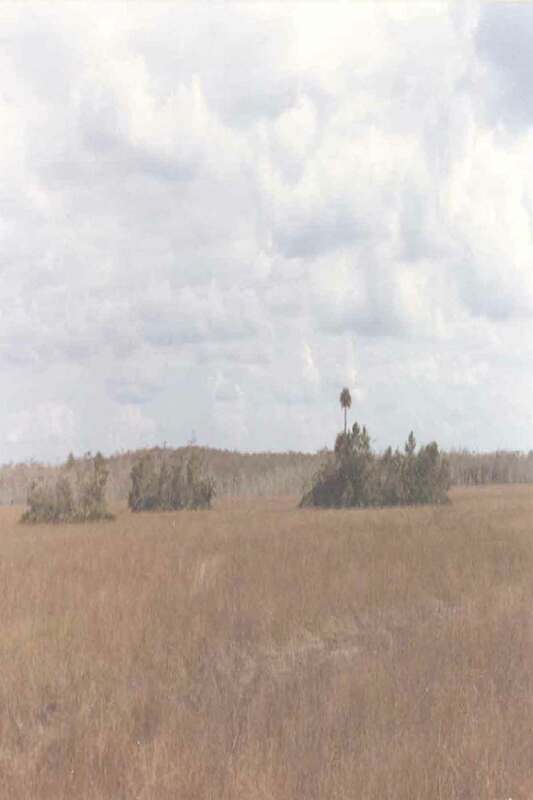 In November 1993 (or there about), myself, and three of my friends (Larry McClain, Jon Leonard and Richard Weldon) loaded up my buggy and set out for a three day weekend of hunting in the glades. When we left the house, it was pretty cold for Florida (35 or so) and dropped as the night wore on. At the time, we had a grade that allowed us to pull the buggies on a trailer to within one mile or so of camp. We got to the unloading spot around 9:00 pm just in time for a light shower in what was now 29-degree weather. As you might imagine, this made things very interesting, wet and freezing. My buggy at the time was an old Jeep CJ 5 that sat on tractor tires about 4 feet tall. It had no top, no heater, holes in the floor and started up all most every time. (Hey, I was a college kid on a very tight budget) We unloaded the jeep; piled into it all the necessaries for a three-day weekend in the glades along with four guys, (the lightest of which weighed around 220) and off we went. By now, Mother Nature had added actual snow flurries to the mix that melted as soon as it hit the ground. My already wet feet were now numb and I could no longer feel my fingers. Slow progress was made into camp, as it was painful to create any kind of breeze via speeding to camp. Every time we crossed into a cypress strand the lights from the buggy revealed steam rising up off the water and into the cold night air. My Army surplus wool gloves were soaked and the reflection of the buggy lights off the water revealed steam from my hands as well. Camp soon came into view, a cold, wet and welcome sight. We jumped from the buggy onto the soggy yard and quickly stowed our gear. Thankfully the rain and flurries cleared up at about the same time, leaving us wet, cold and out of the rain. A quick change into dry clothes and I was no longer wet, just freezing. Larry was the first back to the flooded fire pit. He took an axe off the buggy, shaved a few splinters off the huge lightr’d stump left over from the last trip and in no time flat had a giant fire going that was surrounded on all sides by water. Despite the fire, I could not get warm. I had on nice dry clothes and a huge hunting parka but nothing seemed to help. Even when I retired to bed that night, I was still cold but managed to fall asleep somewhere around 3:00 am or so. Never had I been this cold, no matter what the place or time. I was chilled to the bone. I stepped outside, walked around their cabin (being sure to notice the ice hanging from my buggy) turned my back to the steep north western wind and proceeded to open wide each and every window on their cabin. About three minutes later, they were up and ready to go hunting. I finally warmed up on that trip and even took a nice hog later that day. As for Richard and Larry, they spent the rest of the trip looking over their shoulder waiting for me to take revenge. I cannot honestly say if I ever got them back, but they really got me good. I was cold on that trip and have never been that cold again. Trips to the Glades were like that, fun and full of adventure.